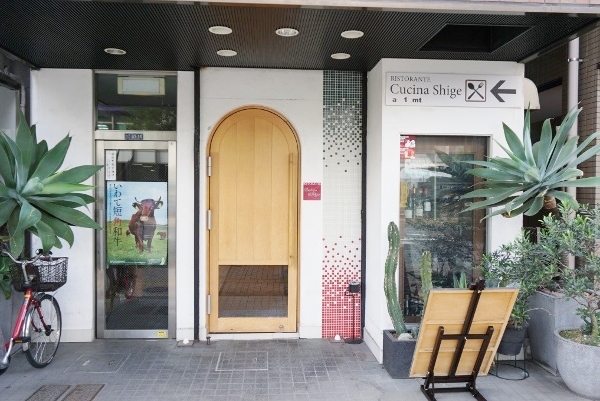 Located in the unusually-named “Popeye Building” just around the corner from Nishi-ojima Metro Station, Cucina Shige provides quality Italian food at reasonable prices. 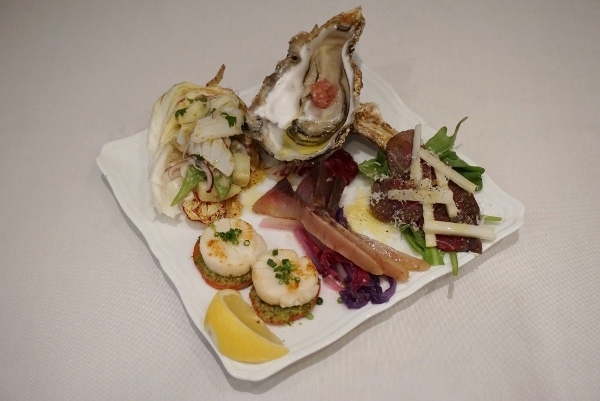 The owner and chef, Mr. Shigeyuki Ishikawa has drawn on his years of experience working in restaurants in Italy and Tokyo, including at a renowned Italian restaurant in Azabu-juban, to bring good eating to Ojima, Koto-ku. When I asked Mr. Ishikawa why he decided to open a restaurant in Ojima, he replied that he has always lived around food: he grew up frequenting the family greengrocer shop and his grandmother owned a coffee shop nearby. 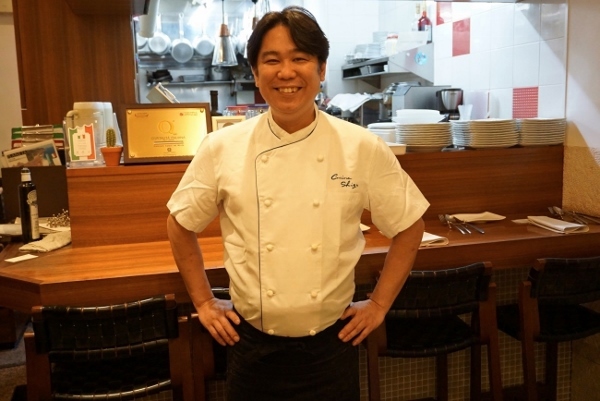 Despite the apparent complexity of the dishes he serves, he believes that “simple is delicious” and points out that all his preparations contain straightforward ingredients, similar to domestic cooking. As he says, with Italian cooking, what you see is what you get. The décor in the restaurant is simple but welcoming, whilst the kitchen area is a brightly-lit hive of activity. Mr. Ishikawa’s day is long: he starts work around 9:00 a.m. and apart from relaxing during the breaks when the restaurant is closed between the lunch and dinner sessions, he continues working until the early hours of the morning. Although he has little time to sleep or see his family, he says that he loves his work. 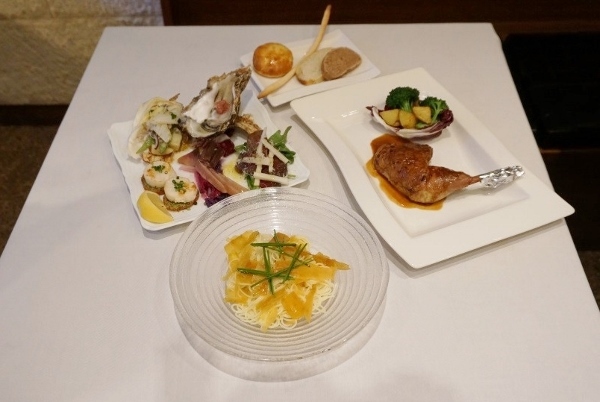 Cucina Shige’s menu offers set lunches for 1,000 yen; or, diners can indulge in a 3,300 yen course. 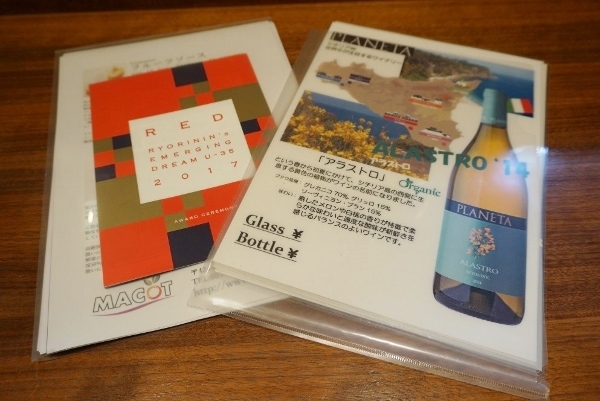 In the evening, in addition to an a la carte menu, customers can experience a choice of four different courses, each comprising a zensai (starter), pasta, main course and dessert, priced at 3,300 yen, 4,500 yen, 5,800 yen or 7,000 yen depending on your budget. 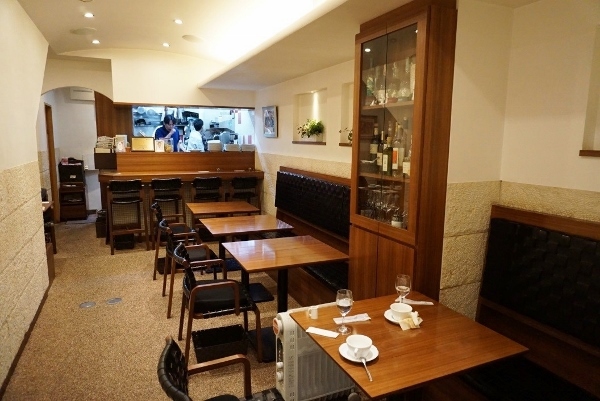 The lunchtime I visited Cucina Shige, there was a group of four ladies chatting animatedly in the corner, having obviously enjoyed their meal. I was served a seafood moriawase (combination) starter, consisting of scallops, smoked buri (yellowtail), charcoal-grilled squid, marinated Hokkaido Ezo deer, and Iwate Sanriku oyster. This tasty starter was almost a meal in itself, with every element beautifully presented. 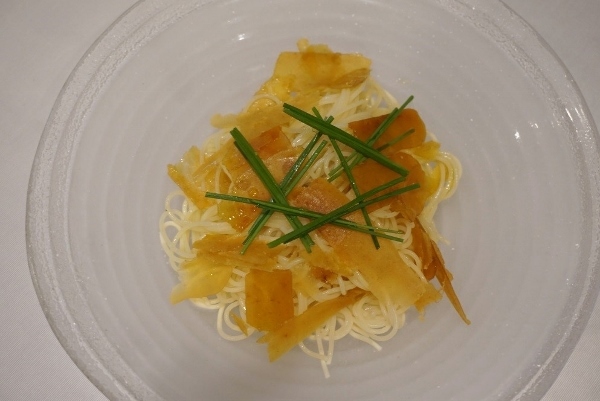 To follow, I was treated to a dish of capellini (angel hair): very fine pasta served cold and topped with karasumi (smoked mullet roe) and chives, with a dash of squeezed lemon. Delicious! 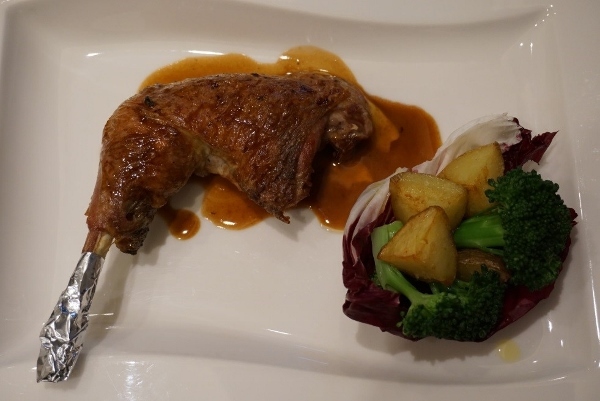 Next to come was a roasted leg of horohoro-dori (guinea fowl) in a tasty white wine sauce containing rosemary and a broth which had been simmered for one week. This was served with a helping of roast potato, broccoli and red treviso leaf. 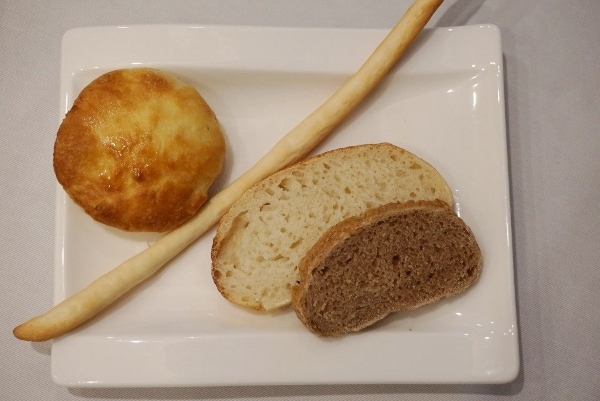 To finish off this feast there was a plate of four different types of Italian-style bread, all baked on site. 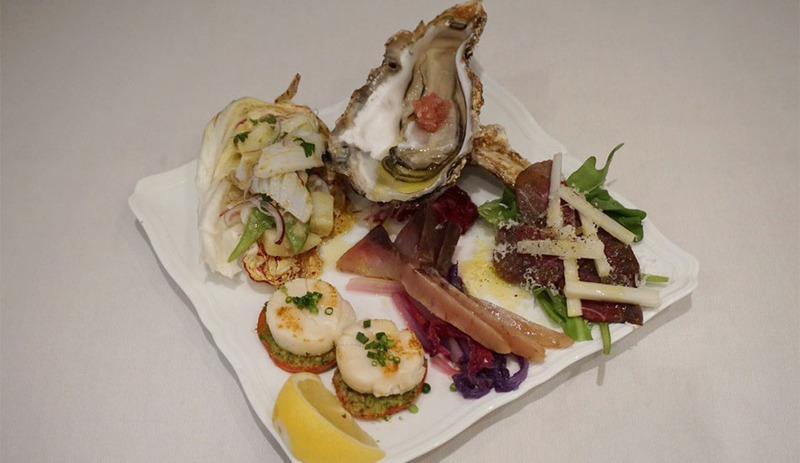 And to round off Cucina Shige’s Italian credentials, the restaurant offers a wine list containing a selection of six white and six red wines from Italy. 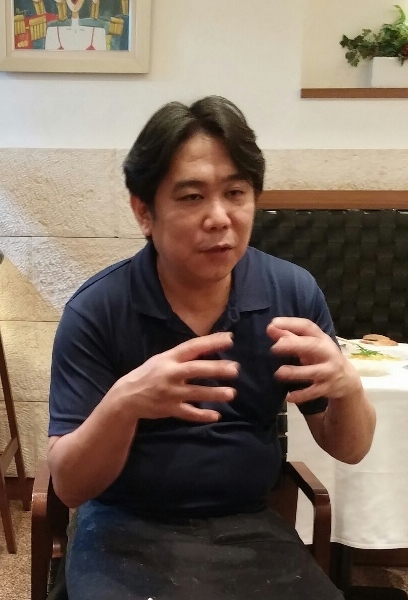 Mr. Ishikawa talks with passion about his love for Italian cuisine and his desire to combine first class cooking with first class service, which he hopes will attract people living or working in Ojima to come and taste what Cucina Shige has to offer. And Mr. Ishikawa’s favourite dish? From childhood he has loved pizza; though unfortunately, this is not to be found on the menu at Cucina Shige.